Perfect Canyon Crest Condo. Pleasant Walk to Canyon Crest Town Center, shopping restaurants, entertainment. Close to Canyon Crest Golf Course. A quick bike ride to UCR. Perfect for a family or college students. Easy access to Freeway 60 and 215. This unit has 3 bedroom and features private balcony with Vaulted Ceilings in living room and recessed lighting. Large family room/dining area. Unit is over 1200 sq ft with airy balcony. Private detached garage included. 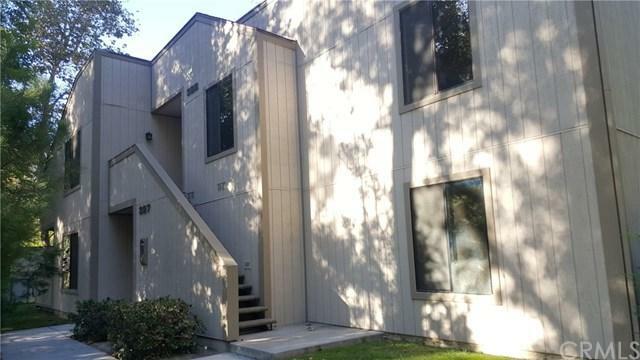 Community: wonderful wooded walk ways and t Perfect Canyon Crest Condo. Pleasant Walk to Canyon Crest Town Center, shopping restaurants, entertainment. Close to Canyon Crest Golf Course. A quick bike ride to UCR. Perfect for a family or college students. Easy access to Freeway 60 and 215. This unit has 3 bedroom and features private balcony with Vaulted Ceilings in living room and recessed lighting. Large family room/dining area. Unit is over 1200 sq ft with airy balcony. Private detached garage included. Community: wonderful wooded walk ways and treelined streets, picnic areas and 3 pools and spa. Listing provided courtesy of A-Z Realty & Investment Corp. Listing information © 2019 San Diego MLS, Inc.